This game is played with 3 people. 1 person is in the vive and the other two are using controllers. The two controller players are working together, fighting against the VR player. 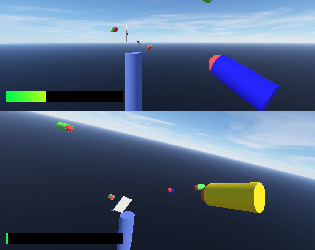 Use the cannons to fire balls at the VR player, they'll be knocked back slightly if you hit them. Hit then enough times to knock them off the podium. See who can survive the longest. The game was developed with Xbox 360 controllers, as a result we cannot guarantee it will work for other controllers. To aim the cannon, use up/down on the left thumb stick. To change selected cannon, use up/down on the d-pad. A button to fire a ball. 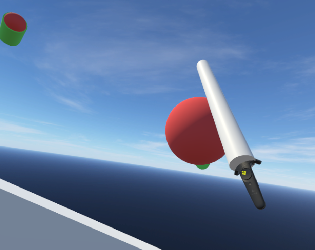 On the bottom left of the screen is a power bar, this affects how far the ball is fired. 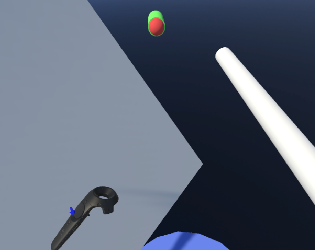 The VR player has a sheild and bat which can be used as protection from the balls. 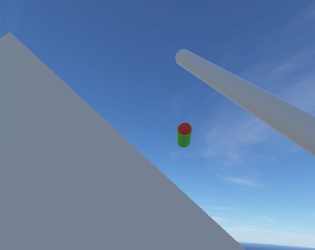 Small arrows can be seen on either controller which will point towards the currently active cannons. 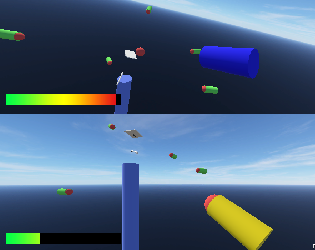 This game was created in under 10 hours as our first VR project. A full version will be released in the future with more features. This game has been developed for the HTC Vive and has not been tested on any other headsets.